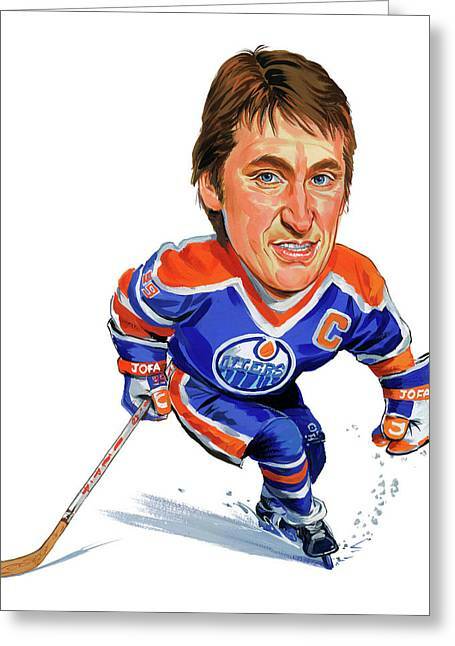 Wayne Gretzky is a painting by Art which was uploaded on January 12th, 2010. Wayne Douglas Gretzky, CC (born January 26, 1961) is a Canadian former professional ice hockey player and former head coach. Nicknamed "The Great One", he is generally regarded as the best player in the history of the National Hockey League (NHL), and has been called "the greatest hockey player ever" by many sportswriters, players, and the NHL itself. Upon his retirement on April 18, 1999, he held forty regular-season records, fifteen playoff records, and six All-Star records. He is the leading point-scorer in NHL history, as well as the only NHL player to total over 200 points in one season - a feat he accomplished four times. In addition, he tallied over 100 points in 16 professional seasons, 14 of them consecutive. 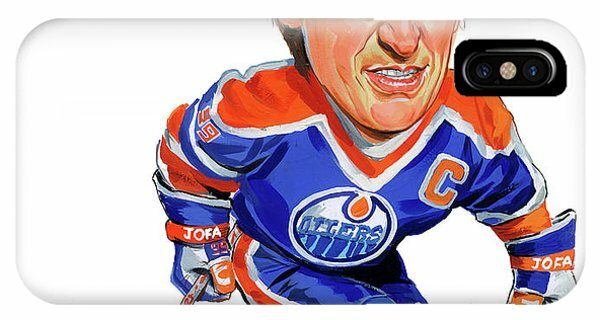 Gretzky's jersey number, 99, has been retired by all teams in the National Hockey League. He was voted one of six players to the International Ice Hockey Federation's (IIHF) Centennial All-Star Team in a poll conducted by a group of 56 experts from 16 countries. In addition to being its greatest scorer, Gretzky was the most gentlemanly superstar in the modern history of the National Hockey League. He won the Lady Byng Trophy, awarded for �sportsmanship and gentlemanly conduct combined with a high standard of playing ability,� more than any other player since the 1930s�five times. During his playing career he often spoke out against fighting in hockey. Born and raised in Brantford, Ontario, Gretzky honed his skills at a backyard rink and regularly played minor hockey at a level far above his peers. 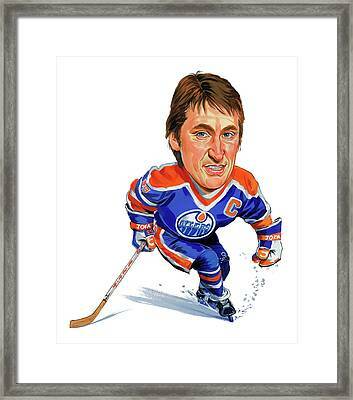 Despite his unimpressive stature, strength and speed, Gretzky's intelligence and reading of the game were unrivaled. He was adept at dodging checks from opposing players, and he could consistently anticipate where the puck was going to be and execute the right move at the right time. Gretzky also became known for setting up behind the net, an area that was nicknamed "Gretzky's office" because of his adept skills in that area. In 1978, he signed with the Indianapolis Racers of the World Hockey Association (WHA), where he briefly played before being traded to the Edmonton Oilers. When the WHA folded, the Oilers joined the NHL, where he established many scoring records and led his team to four Stanley Cup championships. His trade to the Los Angeles Kings on August 9, 1988, had an immediate impact on the team's performance, eventually leading them to the 1993 Stanley Cup Finals, and is credited with popularizing hockey in California. Gretzky played briefly for the St. Louis Blues and finished his career with the New York Rangers. 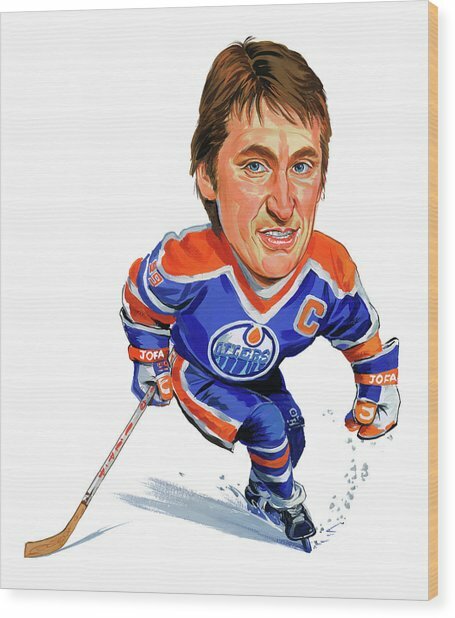 In his career, Gretzky captured nine Hart Trophies as the most valuable player, ten Art Ross Trophies for most points in a season, five Lady Byng Trophies for sportsmanship and performance, five Lester B. Pearson Awards, and two Conn Smythe Trophies as playoff MVP.